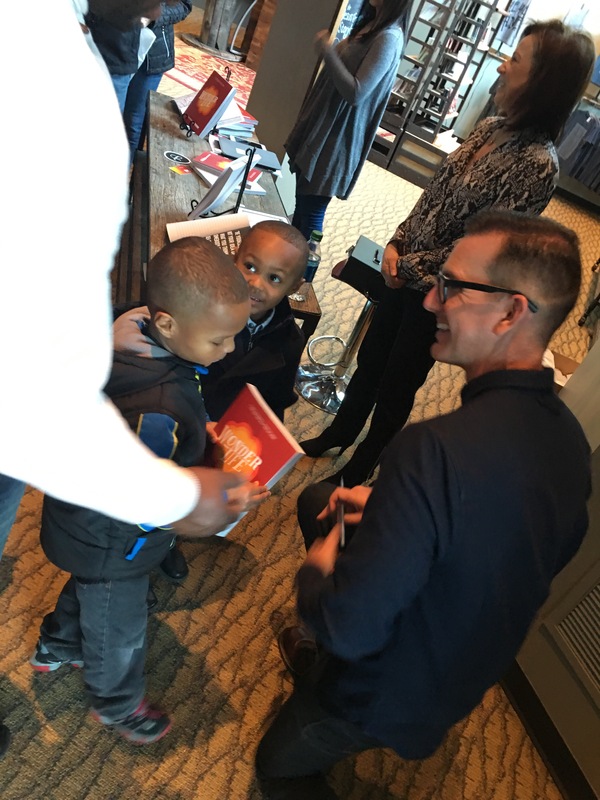 Recently I spent a weekend getting to know author and speaker Mike Foster. Mike and a colleague were visiting and speaking at our church and I was their host and chauffeur. Our congregation is currently reading though a book write by Mike called “Freeway”. We are using it as the content for our Sunday messages and as small group discussion material. Mike was one of the most genuine and down to earth people I have ever hung out with. He was one of those guys that after a few minutes you feel like you have known him for years. One of my responsibilities during his visit was to stand near him at the book table in the lobby, as he met with people each, service after he spoke. I have seen a lot of authors at book tables engage in cursory conversation with with each person who brought a book to be signed. Mike was completely different. He looked everyone in the eyes, listened intently, asked questions and made each one feel important. Person after person came to tell him a story, express appreciation for his writings and teachings. We had to delay lunch reservations twice to accommodate all of these interactions. Later I spoke with several of the people Mike took time with, and they recounted how impactful their few minutes with him were. Later that afternoon over lunch, I commented on how impressive his ability to invest so deeply in complete strangers was. Sheepishly, I indicated my desire to become more like him in regards to that aspect of his character. His response was interesting. He shared a story about once hearing Oprah talk about the source of her success with people. She stated that she strives to make everyone be aware of these three truths as she talks with them. It was at that moment I realized why Everyone likes Mike so much. For the two days we spent together, he had consistently conveyed those three things to me and to everyone else he met. He took the time to patiently listen to what we had to say and interact with us authentically. If I am honest, this isn’t always how I act. So now I am on a personal mission to become a person who gives undivided attention to those around me. I am seeking to ensure that I see and hear people, and recognize that what others say really matters! If you want to get One Grip Higher be like Mike… and Oprah!